Malta Maritime Directory :: Rig 'RALPH COFFMAN' - 'Sea Patron' saves the day again! Comment about: Rig 'RALPH COFFMAN' - 'Sea Patron' saves the day again! Rig 'RALPH COFFMAN' - 'Sea Patron' saves the day again! One year later Patron Group saves the day again! One year after intervening to assist the Semisubmersible Platform �Atwood Southern Cross�, when its anchors dislodged 2 miles off the coast of Malta in Force 9 weather conditions, the AHTS �Sea Patron� sails out again in extreme weather conditions to bring under control the Jackup Rig �Ralph Coffman� which kept snapping its tow ropes. The 'Ralph Coffmann' left Valletta Port (Malta) on the morning of Saturday 31st October, towed by 3 local tugs, to be loaded onto the Dock-Ship 'Albatross' off the coast of Malta. While underway to its position the rig and tugs encountered Beaufort Force 7 weather conditions and 3-metre swells, which constantly caused the towing ropes to snap. 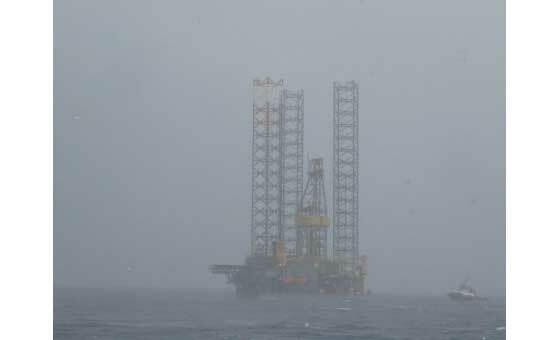 Since the weather kept battering on the rig and its tugs, and the tugs were unable to permanently gain control of the rig, at 11:30pm on Saturday, the agents for the 'Ralph Coffman' in Malta (Thomas Smith Shipping) requested for our AHTS 'Sea Patron' to intervene, and get the situation under control. The 'Sea Patron' mobilised immediately from Valletta Port and was on site within an hour. Upon arriving near the 'Ralph Coffman' the Master of the 'Sea Patron', in a bold maneuver executed skillfully in extreme weather conditions, moved in directly alongside the rig making it possible to hand over the towing wire to its crew, thus securing the rig. Once the towing wire was fastened and the rig was secure, the 'Sea Patron' proceeded with the rig towards a safe distance from the coast. On the 3rd November, when the weather came down, the ‘Ralph Coffman' was handed back over to the local tugs to complete the operation with the Dock-Ship ‘Albatross'. Drilling Depth:	35,000 ftPatron Group Ltd.